Two weeks ago, Microsoft announced its commitment to Hadoop and promised to release new connectors to promote interoperability between Hadoop and SQL Server. Today we are announcing the availability of the Community Technology Preview (CTP) of two connectors for Hadoop: The first is a Hadoop connector for SQL Server Parallel Data Warehouse (PDW) that enables customers to move large volumes of data between Hadoop and SQL Server PDW. The second connector empowers customers to move data between Hadoop and SQL Server 2008 R2. Together these connectors will allow customers to derive business insights from both structured and unstructured data. SQL Server PDW is a fully integrated appliance for the most demanding Data Warehouses that offers customers massive scalability to over 600 TB, and breakthrough performance at low cost. PDW is an excellent solution for analyzing large volumes of structured data in an organization. The new Hadoop connector enables customers to move data seamlessly between Hadoop and PDW. With this connector customers can analyze unstructured data in Hadoop and then integrate useful insights back into PDW. As a two way connector, it also enables customers to move data from PDW to a Hadoop environment. The connector uses SQOOP (SQL to Hadoop) for efficient data transfer between the Hadoop File System (HDFS) and relational databases. In addition, it uses the high performance PDW Bulk Load/Extract tool for fast import and export of data. 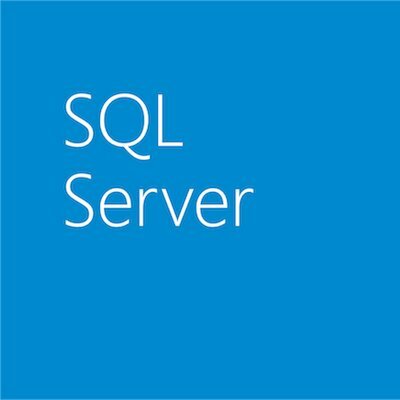 Existing SQL Server PDW customers can obtain the Hadoop connector for PDW from Microsoft’s Customer Support Service, as is also the case for the Microsoft Informatica Connector for SQL Server PDW, and Microsoft SAP Business Objects DI Connector for SQL Server PDW. This connector enables customers to move data between Hadoop and SQL Server. It is compatible with SQL Server 2008 R2 and SQL Server code named “Denali”. Like the PDW version, this is a two-way connector that allows the movement of data to and from a Hadoop environment. It also uses SQOOP for efficient data movement. The CTP version of this connector is now available for trial. Together these two connectors reaffirm Microsoft’s commitment to interoperability with Hadoop. Customers can use them to derive business insights from all their data – structured or unstructured. Building on the Business Intelligence Platform and Data Warehousing capabilities provided by SQL Server, the support for near real time insights and analytics into large volumes of complex unstructured data i.e. ‘Big Data’ will continue to be a focus area for us. The connectors are a first step in this journey and you can expect to hear more from us in the coming year. Test drive these connectors and send us your feedback. Thanks!